How many words is a cabinet painting picture worth? At least 1,000! Call today for your free cabinet painting estimate and soon you’ll have your own before and after pictures to enjoy, (303) 222-0110. From bathroom cabinets to built-in cabinetry, we’ve painted them all! 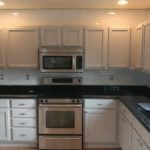 In the Denver area and all across the front range, our experienced cabinet painters have taken cabinet painting to the next level with our unique process and attention to detail. There are a variety of benefits to having your cabinets professionally painted. One of the benefits is getting a fresh new look for your home at an affordable price. This is a small selection of the cabinet painting projects we’ve had the opportunity to work on. We’ll be posting more soon! When you call for your free consultation, we’ll be happy to show you more of our designs and discuss your project. To learn more about our local, Denver based company or to schedule your free cabinet painting consultation, please call (303) 222-0110 or email contact@denvercabinetpainters.com. Please note: We are fully insured and can tell you more about how we’re different, talk about our free color consultation, and discuss the differences you’ll find when you hire us as compared to going the DIY route.